Two-time Olympic medallist, Ian Walker of Great Britain, has taken the helm as skipper for Abu Dhabi Ocean Racing's 2011-12 Volvo Ocean Race title pursuit, as the emirate's newest sporting outfit readies for the 'Everest of Sailing'. Appointed by the team's backer, Abu Dhabi Tourism Authority (ADTA), Walker will lead an 11-strong crew hoping to stake its claim in one of the world’s toughest, most extreme sporting challenges.ADTA, which was behind the emirate's successful bid to become a Volvo Ocean Race 2011-12 host city, believes Walker’s appointment is a major coup for Abu Dhabi’s inaugural title tilt. As design consultant on ADTA’s planned, specially designed Volvo Open 70, Walker will be out to capitalise on years of experience to guide the outfit through nine-months of intense, head-to-head sailing over 39,000 nautical miles comprising four of the world’s most treacherous oceans. "The Volvo Ocean Race is mentally and physically exhausting. The whole project is quite daunting, but it is easier to comprehend having done the race before. I have huge respect for the yachts and the race and we will be as prepared as we possibly can be," said Walker, one of the world's leading helmsmen and tacticians. “This is a fantastic opportunity to build a winning team both on and off the water. It is a huge challenge, yet we are confident we will compete for top honours. We have a unique opportunity to do something special with Abu Dhabi Ocean Racing. ADTA and Walker, who lives in Southampton, UK, are also currently in the final stages of appointing the team’s other crew members, and are committed to including a UAE national in the sporting team and another two on the shore team. "I think it is crucial to have the right mix of youth and experience and I also like the idea of an internationally-represented crew. Obviously, you need the right mix of skills such as helming, trimming, bowmen, sailmaking, rigging and engineering, yet it is just as important to select people who will work well as a team. That is what we are aiming for with Abu Dhabi Ocean Racing," said the 40-year-old graduate of Cambridge University – one of the UK’s ‘Ivy League’ institutions. Walker, a father of two, was the skipper and sailing manager of the 2002 British America's Cup Team. 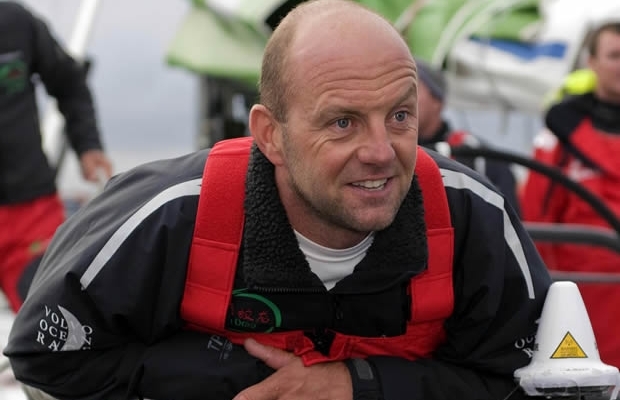 He has accrued a wealth of sailing experience in a two-decade long career, which includes coaching the 2004 British Olympic Gold medal winning women's keelboat sailing team, winning the TP52 Global Championship, and leading the 2008-09 Volvo Ocean Race outfit, Green Dragon. Plans are being progressed with Abu Dhabi stakeholders for the UAE capital’s New Year 2012 hosting of the Volvo Ocean Race, when it sails into the sport’s record books as the first Middle East stopover in the event’s 37-year history.